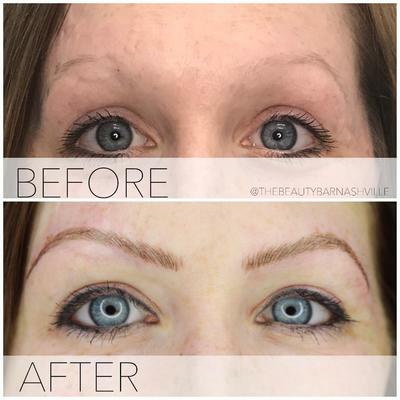 About me: Ailina Carona has over 11 years experience in the beauty industry. She is an expert in brow design, with her specialty in microblading. She has always had a passion for all things beauty and fashion. She believes that a person is most beautiful when they are confident in their own skin. She hopes that her services help give people the confidence they need, to find the beauty within. Ailina lives in the greater Nashville area with her husband and 3 beautiful daughters. 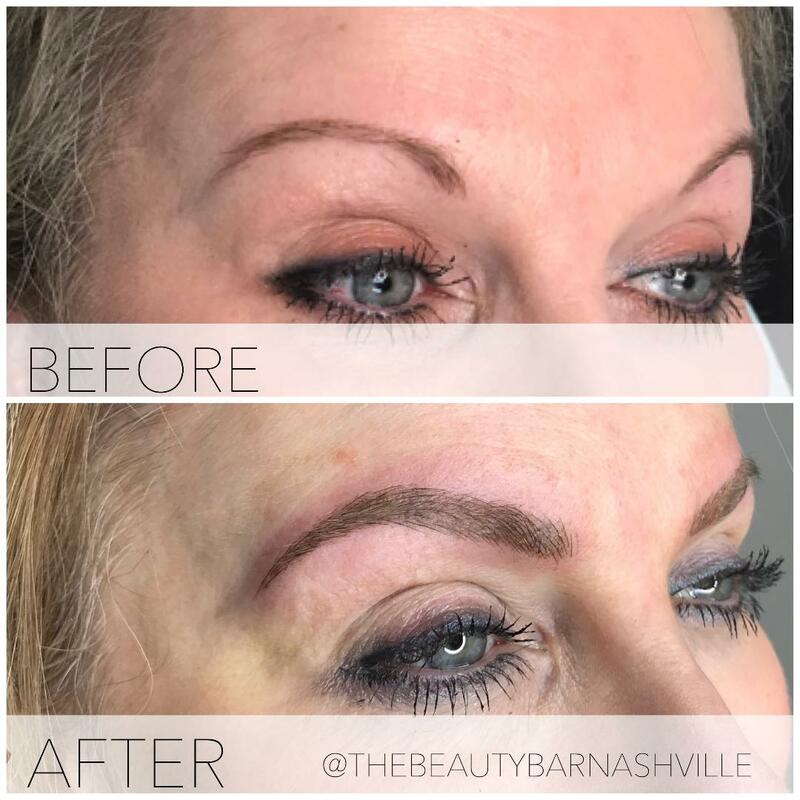 A: Microblading is a semi-permanent eye-brow procedure using a special hand-tool which houses extremely sharp needles positioned in a way that resembles a blade. Then pigment is deposited into the second layer of the dermis with a disposable needle. This creates crisp hair like strokes that will resemble real brows. 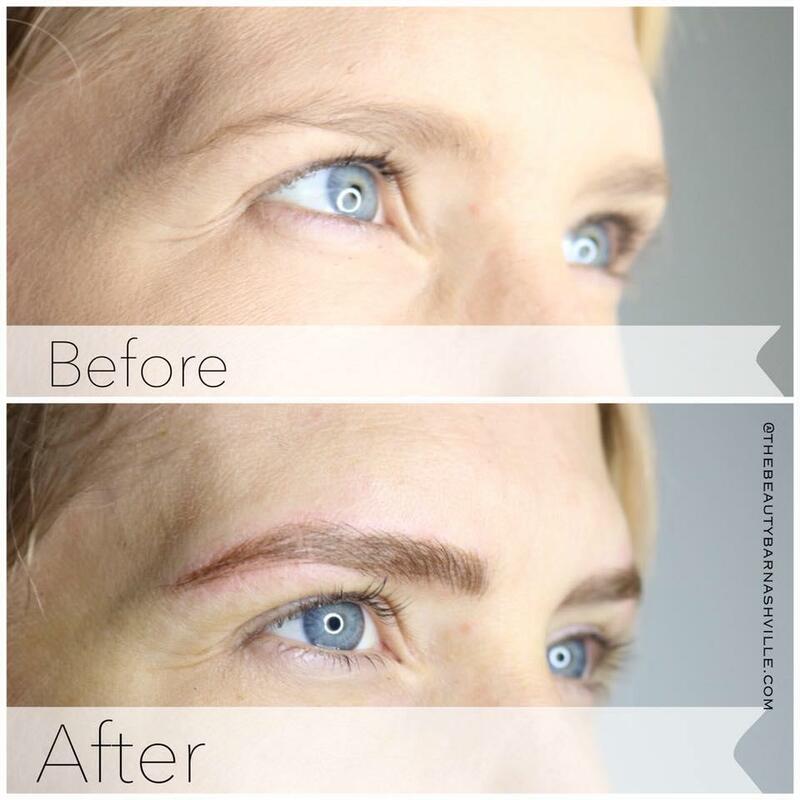 Q: What's the difference between Microblading and Permanent Tattoo? A: Microblading is a manual procedure versus a machine that is used by permanent tattoo. 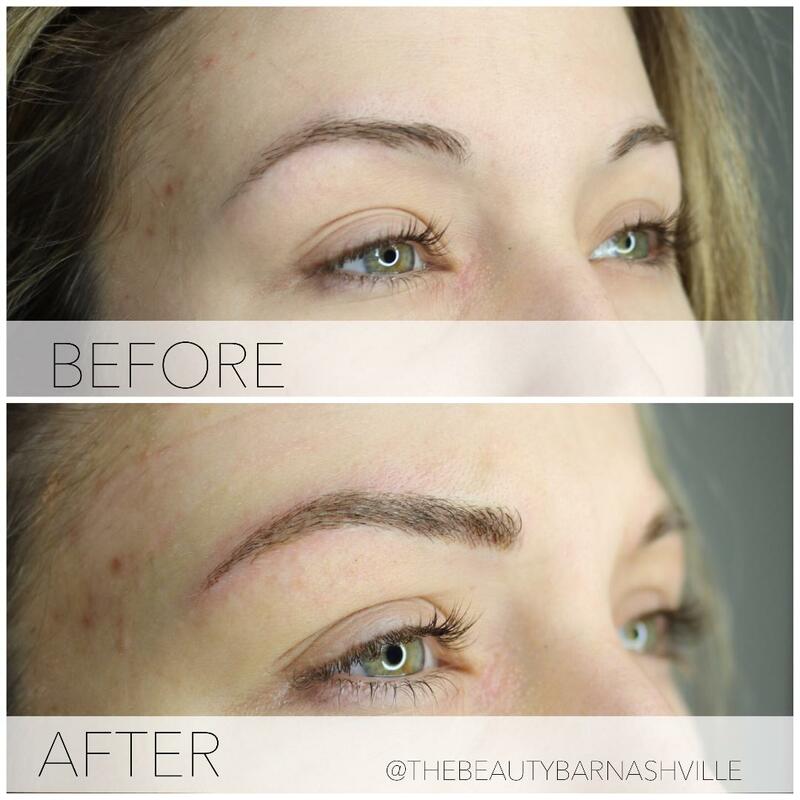 Microblading is deposited closer to the surface which leaves fine crisp hair strokes with no spilling under the skin. Also, it doesn't create scars like conventional permanent make up. 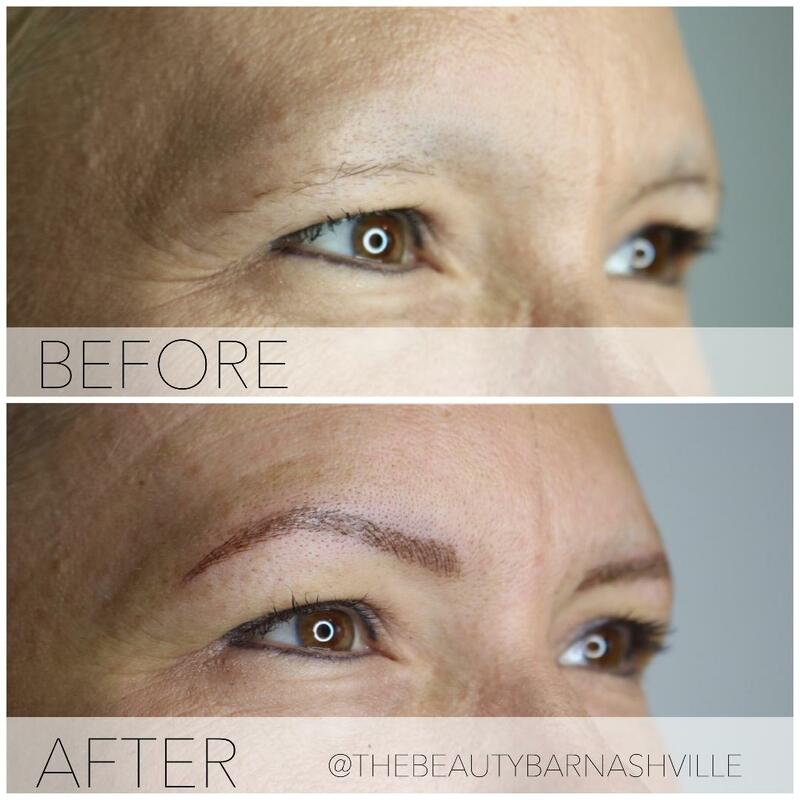 Microblading will fade and disappear instead of turning a faded color. 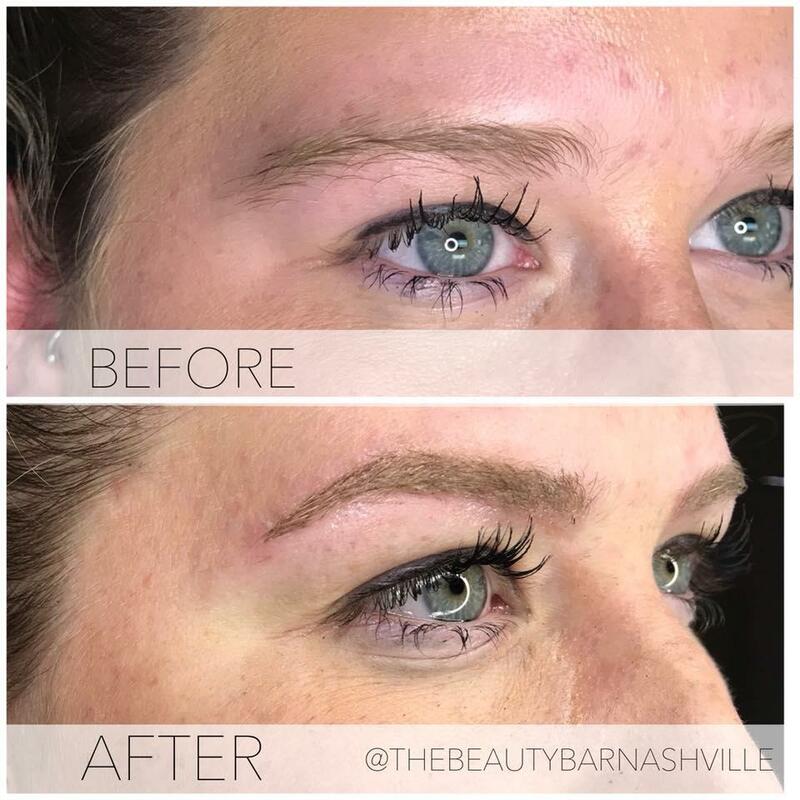 A: Results with Microblading varies person by person. 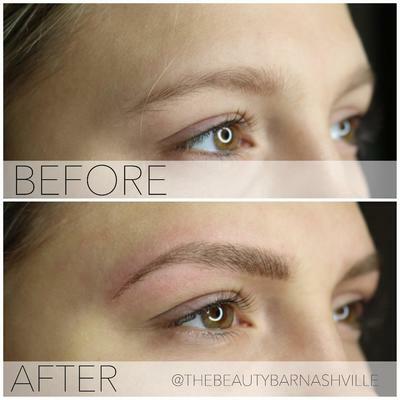 At The Beauty Bar, we use a toxic and metal free ink, it is free of Iron Oxide, Lead, and Mercury. 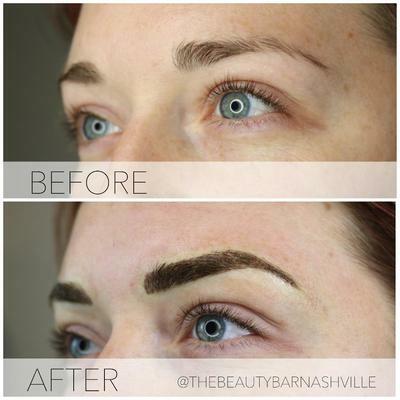 Because of that, you will receive truer color and long-lasting. Depending on how you take care of your skin, it can last anywhere from 1 to 3 years. 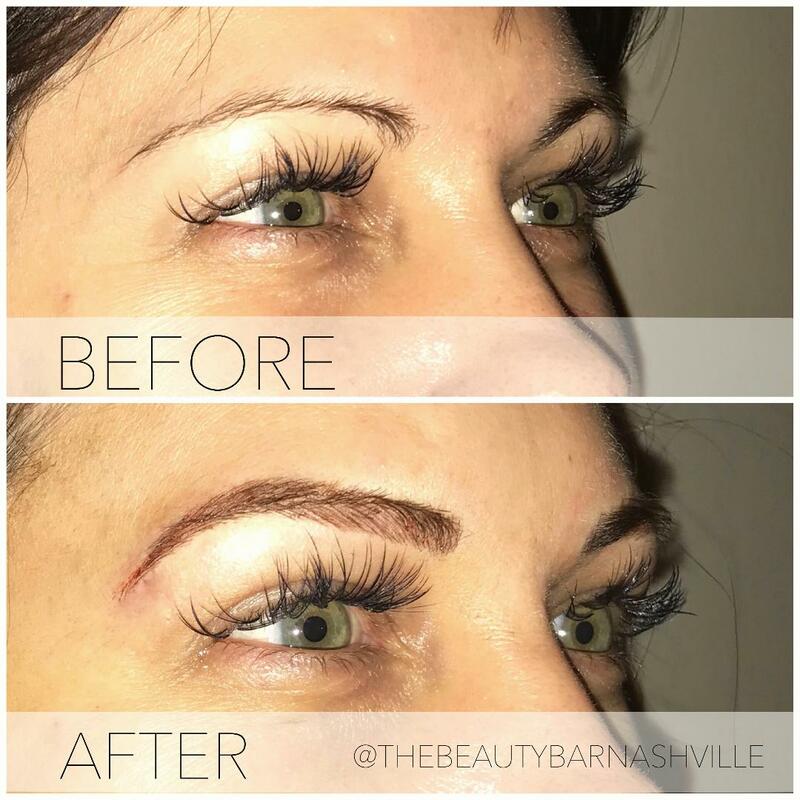 Touch ups are recommended to keep them looking fresh. 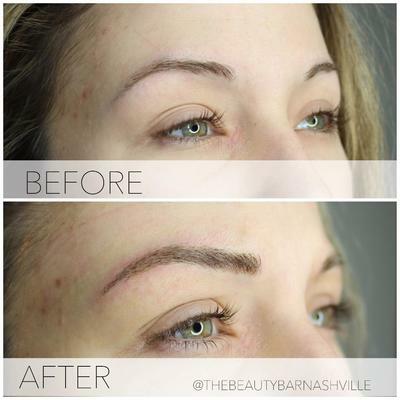 A: Your Initial Microblading session will make up 40% of your brows. 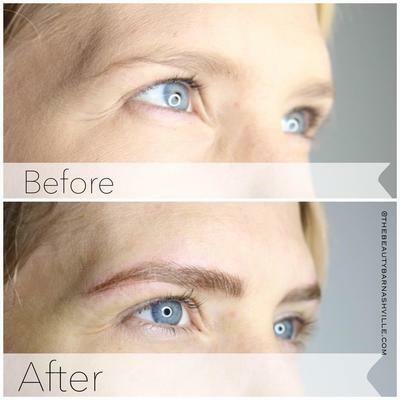 The 6 to 8 weeks touch up will complete your look with the remaining 60%. Q: How long will each session take? A: Your initial session will take about 2 hrs. Your touch up can take anywhere from 1 to 1.5hrs. A: We use a numbing cream that does help dull the pain that is associated with the procedure. Every person is different in their pain tolerance. But many liken it to more of an irritation. However, your results may vary.